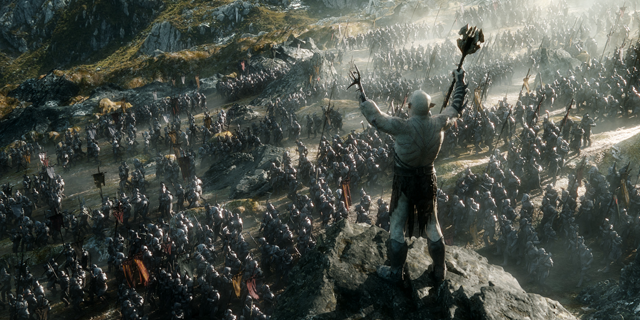 The Hobbit: The Battle of the Five Armies has officially arrived, and it’s left quite the impact on this week’s charts. With an estimated weekend total that pushes far past $55 million, the finale to the highly revered Hobbit trilogy has now made over $90 million dollars in the past five days. Though their numbers aren’t nearly as high, the total draw of this weekend’s other premieres are nothing to sneeze at either. Featuring one of the last appearances of the late Robin Williams, Night at the Museum: Secret of the Tomb made landfall with $17.3 million, earning itself the title of the second highest grossing film in the country. The 2014 remake of Annie follows, with $16.3 million. Curious about our thoughts on some of these new releases? Our reviews of Annie and The Hobbit can be found here and here, respectively. Be sure to follow the jump to see our top ten list of the current highest grossing films of the weekend.